There’s a lot of exciting things happening at the end of this week. Majoras Mask for the 3DS and Monster Hunter 4 are coming out this Friday! I can not wait for this set of games to come out! In the spirit of getting pumped for these games, I decided to make some perler bead jewelry for Majoras Mask. I really love how perler beads give that 8bit effect to your creations. Which makes it a great tool for creating charms! Below is a quick little tutorial on how to make your own set of Majoras Mask jewelry. Create your Majoras Mask, along with Tatl and Tael, with the perler beads. 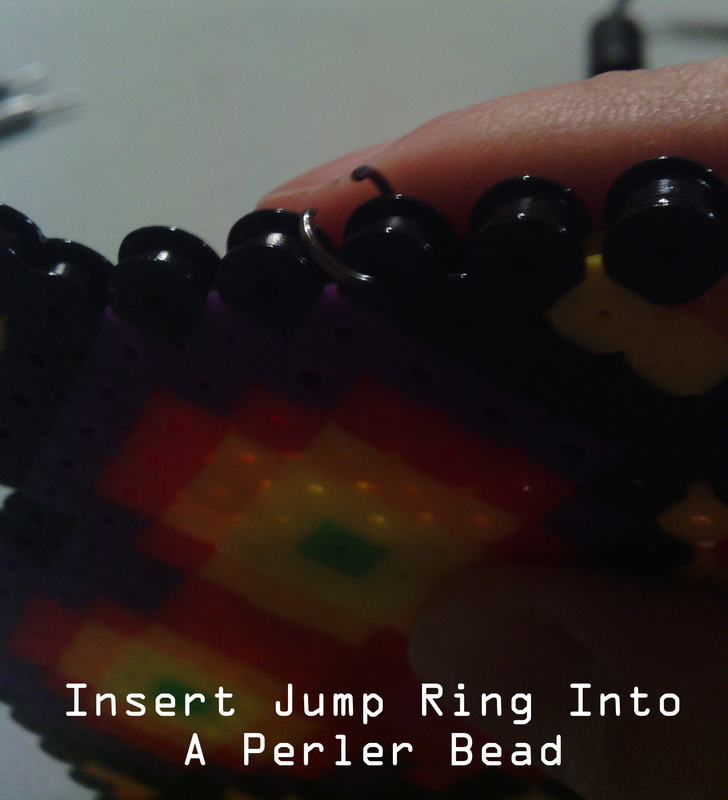 Cover your mask with wax paper and Iron the perler beads until they are melted together. Let the beads cool. 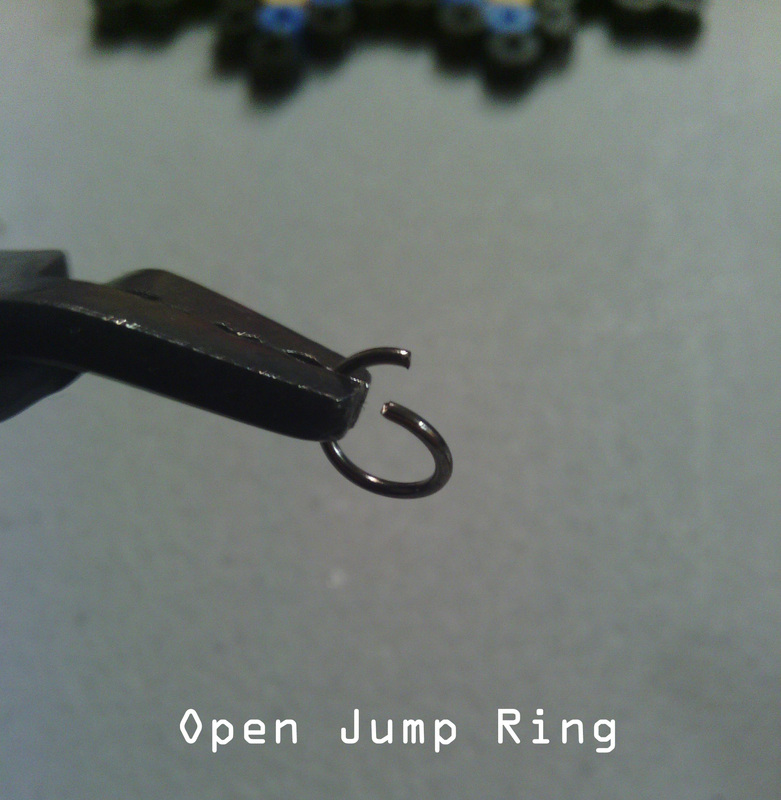 Use your pliers to open two jump rings. Determine the two perler beads you want to connect the chain to. Push the jump rings through these holes. 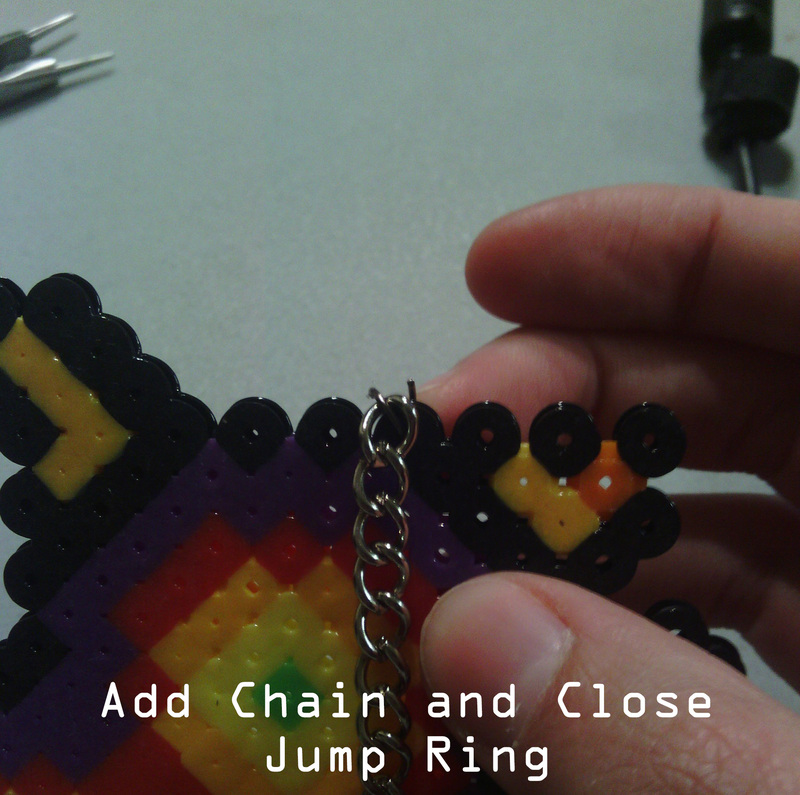 Attach the chain to your jump ring and close the jump ring. Do the same process for your earring hooks. The internet can not supply you with every reference you need. I had to be a little creative when making Majoras Mask and ended up with my own version of the mask. Which made me a little bit more happy with the design. When picking the length of the chain, make it the length that feels comfortable. I like the mask being right below my collar bone, thus why it has so small of a chain attached to it. 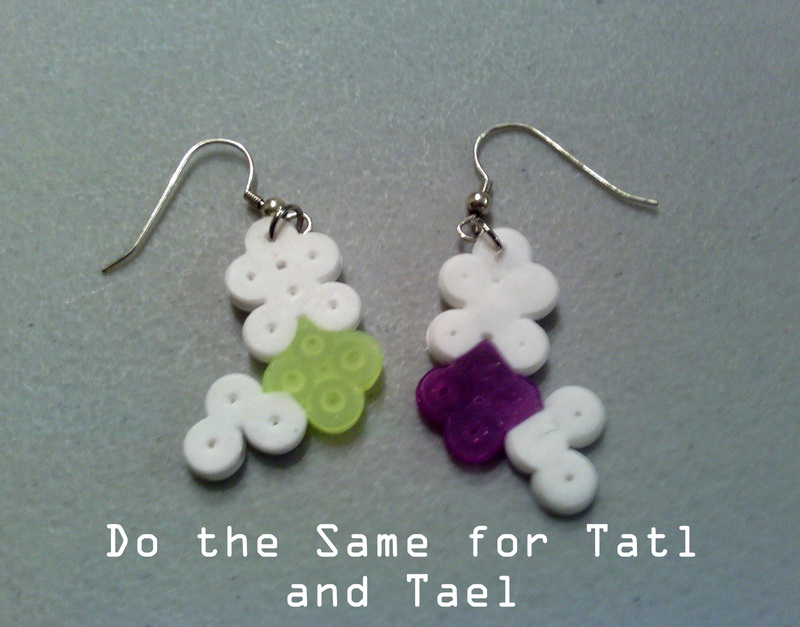 After getting done with the earrings, I realized that they would also be cute if there were tiny chains with little seed beads here and there beside Tatl and Tael.